"Awesome tech for out of band management of systems "
AMT would be awesome if it could be used as a remote tech support solution for consumers. Don't expect that, however, as this is for enterprise only right now. Ability to repair and manage systems outside of the operating system, especially for virus removal and re imaging. You are much more efficient in system management as you can manage systems as if they are physically with you, remotely. Being able to remotely wake up a system and update the BIOS without having to physically touch the PC. There are some security implications, but for the most part I believe AMT technology is safe. I highly recommend using AMT if you need to update many systems at once. Automating the process of updating a massive number of corporate systems over the network. It is a huge time saver in that we update the systems after hours with little no impact on the users of those systems. The ability to connect to a console session without user intervention and troubleshoot even BSOD issues remotely is amazing! Setup can be a bit cumbersome, especially if you are unfamiliar with the configuration. Make sure you have a central management console, or an application that integrates with Intel's AMT platform. This will make your rollout MUCH easier. Remote troubleshooting of down systems, remote power management, and greater access to systems information. "The best for IT department"
You have the control of the wrokstations resources. It keep all the network safe and optimized all in a remote mode. It has to be the tool of your IT team. To have the control, resolve questions, and maintain the health of the digital ecosystem of companies. "One of the best remote management tools"
The Anti-Theft technology it gives the ability to send a vPro-enabled PC a "poison pill" to brick it, when someone steal the machine. It is so useful for mobile systems, but not much on the desktop machines. It is nothing that i can say that dislikes me. Provably with the time will come something, but at the moment there is not. Remotely turn on, off, or power cycle the machine, remotely mount an image to load on the machine, remotely, access hardware asset information, basically simplifies whatever that needs to be done remotely. I like the fact that it is built into a secondary service processor on the motherboard. I don't have anything negative to say about it because it has yet to fail on me, or disappoint either. The ease of use and dependability eliminates the need for redundant service processors, This solves the problems associated with lesser quality amts . User friendly and intuitive. Easy to navigate. Nothing major sticks out here. I've been pleased. Staying on top of our systems - tracking computers as well as their respective software updates, etc. We love being able to have the lights out management on intel vPro products and bios level access. Clunky interface not easy to setup with static IPs. 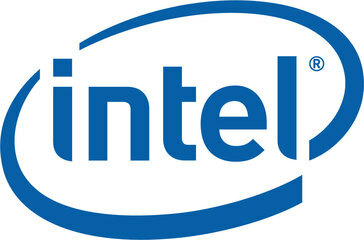 We wish intel supported this across their product line. I would not hesitate to use this technology. Lights out management for desktops. "Managing and Repairing Remotely with Intel Powered Active Management Technology"
1. The repair cost has drastically reduced . It means more affordability , better asset management . Remote recoveries includes system recovery after OS failures , a security alert and subsequent blocking ,in case if network threat is detected . 2. Increased efficiency and effectiveness with single management console to control and manage Intel based clients , workstations , AMT capable servers .Limited support to only those with Intel AMT firmware . Limited to only those with Intel AMT firmware . This silicon technology is sure to increase more options to technologies for remotely controlled systems . An AMT engine operated from a motherboard-based processor separates the management functionality making administrative tasks for IT managers more autonomous . "Tool to allow IT to remotely discover, repair, and protect PC "
* We monitor all Intel AMT reviews to prevent fraudulent reviews and keep review quality high. We do not post reviews by company employees or direct competitors. Validated reviews require the user to submit a screenshot of the product containing their user ID, in order to verify a user is an actual user of the product.